Author/Opus: This is the 12th puzzle from guest contributor Joseph Howard. Rules: Standard Statue Park rules. This puzzle uses a standard pentomino set. Answer String: Enter the length in cells of each of the shaded segments from left to right for the marked rows, starting at the top. Separate each row’s entry from the next with a comma. Note: Follow this link for other Statue Park Puzzles. If you are new to this puzzle type, here are our easiest Statue Parks to get started on. More Statue Park puzzles can be found in the ebook Statue Park by Murat Can Tonta. Author/Opus: This is the 11th puzzle from guest contributor Joseph Howard. 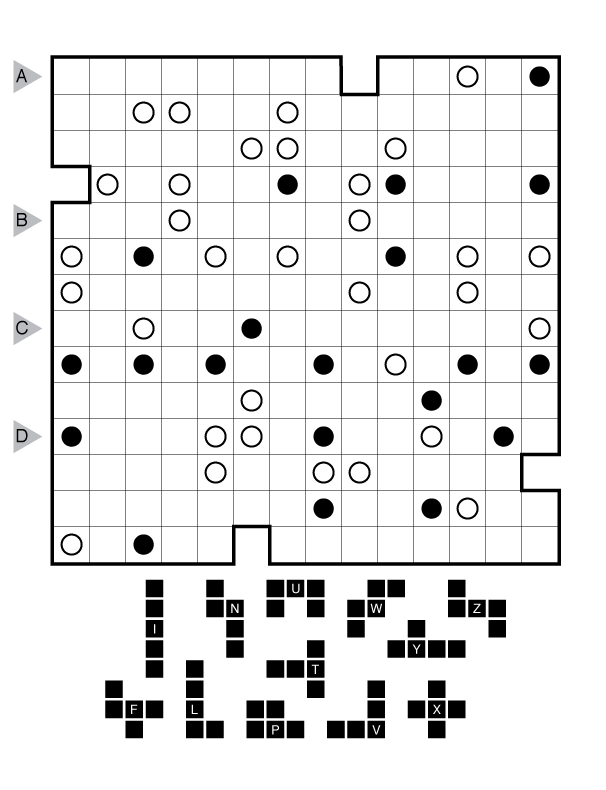 Author/Opus: This is the 205th puzzle from our contributing puzzlemaster Serkan Yürekli. 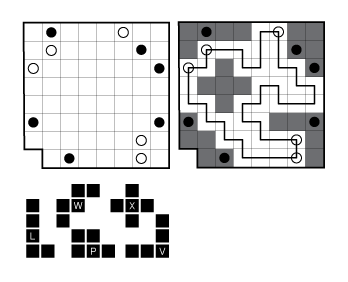 Rules: Variation of Statue Park and loop puzzle rules (using a standard pentomino set). 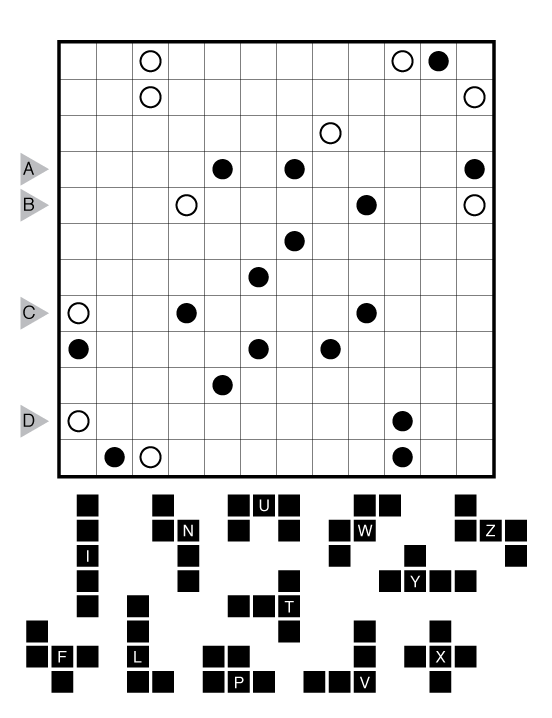 Place each of the twelve pentominoes into the grid once, with rotations and reflections allowed. No two pentominoes can overlap or be orthogonally adjacent, and all cells not occupied by the pentominoes must be traversed by a single, closed loop (connecting cells horizontally or vertically). The black circles indicate some cells that must be covered by pentominoes, white circles indicate spaces that may not be contained in pentominoes and must be part of the loop. 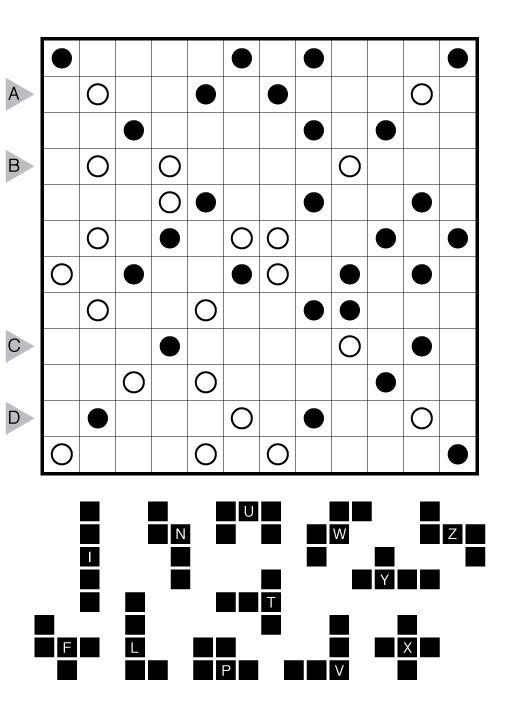 Author/Opus: This is the 272nd puzzle from our contributing puzzlemaster Grant Fikes. 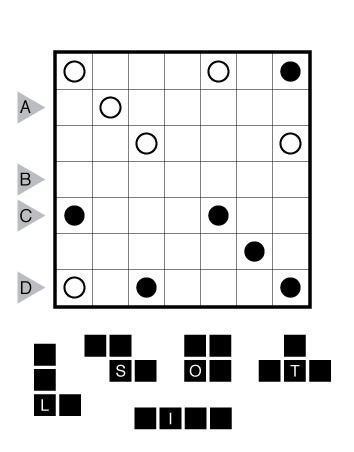 Author/Opus: This is the 104th puzzle from our contributing puzzlemaster Murat Can Tonta. Rules: Standard Statue Park rules. This puzzle uses a double tetromino set. 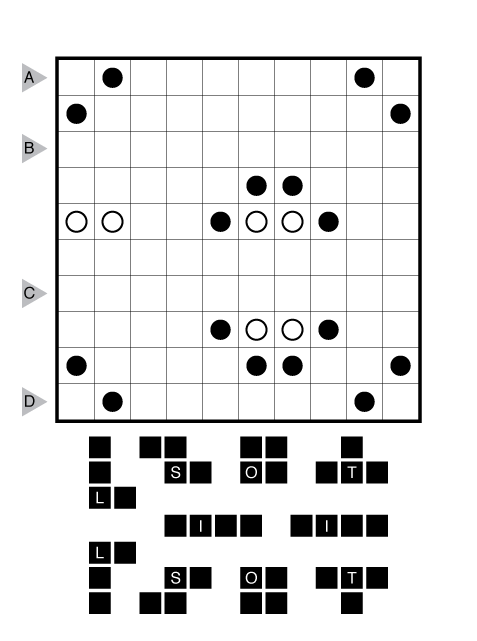 Author/Opus: This is the 103rd puzzle from our contributing puzzlemaster Murat Can Tonta. Rules: Standard Statue Park rules. This puzzle uses a standard tetromino set. 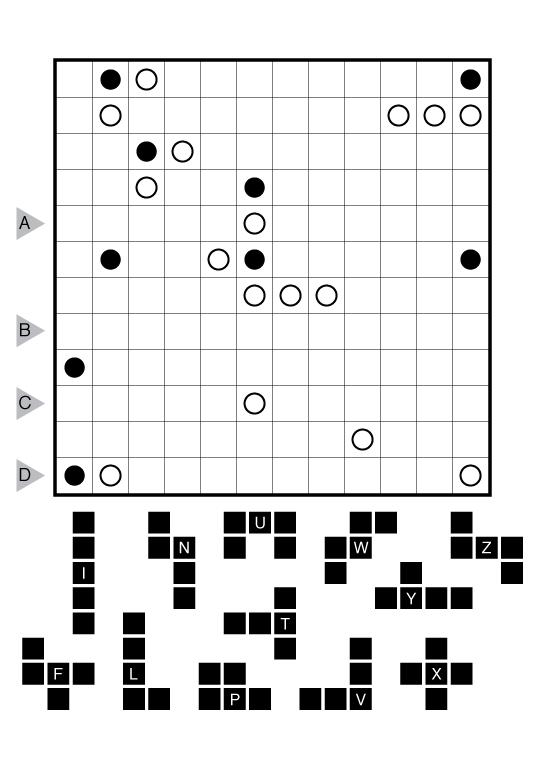 Author/Opus: This is the 317th puzzle from Thomas Snyder, aka Dr. Sudoku.